In April 1941 Reichsführer Heinrich Himmler established the 'SS-Wehrgeologen Battalion 500', the Schutz-Staffel unit of military geologists. Members were recruited from other SS units, including the 'Ahnenerbe", a unit dedicated in part to pseudo-scientific tasks, but also real exploration, including caves. 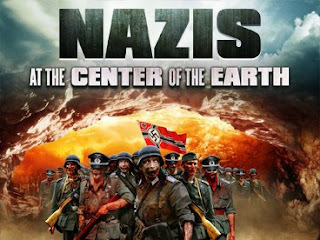 The unit included mostly academics, like captain Erich Marquardt, archaeologist, captain Karl Heinzelmann, geologist, who had worked on tectonics and Joachim Schlorf, who studied the toxic effects of Vanadium-minerals on animals. The unit was commanded by Rolf Hohne, archaeologist, and geologist. The official tasks of the Wehrgeologenkorps included all aspects of military geology: exploration for water, oil, gas and other valuable resources during field campaigns, surveys for construction and fortification, and support during construction work in underground mines and galleries. One project included mapping the route for a planned Autobahn (highway) between Berlin and the Krim-peninsula (never realized). However, more esoteric tasks also included archaeological digs to prove the superiority of the Arian race. In France and the Netherlands, the geologists studied the best location to build the launch pads for the secret rocket project of the Reich. 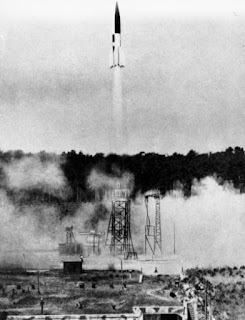 The ground had to be stable enough to adsorb the vibrations caused by the launch of the Vergeltungswaffe, the V-1 and V-2. In 1943-1945, when the impending defeat of the Third Reich became obvious, the SS geologists were sent to southern France and Italy, to work on the Blue Line. Blu line was a system of fortifications, to be built in the Prealps, to stop the allies, invading at the time Sicily during 'Operation Husky.' An even more ambitious plan included the idea to use the mountains as the Alpenfestung, the Alps-fortress, as a last refugium for the Nazis. At this time the unit comprised more than 600 men, including geologists and soldiers. In the Italian city of Trieste, the Wehrgeologen helped in the construction of 'Small Berlin', a system of underground bunkers. During this operation, the geologists explored also caves and ancient mines, in part for minerals and resources, but also searching for the mythical entrance to a supposed ancient underground reign. Supposedly, strange galleries of unknown origin were discovered. At least some members also studied supposed earth-force-fields. Wilhelm Teudt and Josef Heinsch, both researchers at the Ahnenerbe, believed that streams of energy, following Ley-Lines, crossed beneath the city of Trieste. Today, Nazi geologists searching the entrance to the Hollow Earth sounds like the plot for a bad movie. This should not hide the cruel reality of the war and the regime. The SS Wehrgeologen were also involved in war crimes. In the village of Laita various civilians were executed by the bataillon 500. The villages of Pedescala and Settecà, in the province of Trentino, were both burned to the ground and 83 civilians killed. This happened during the withdraw of the German troops in the last days of World War II, an involvement of the SS geologists seems also possible in this case.